processing solution. 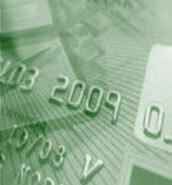 PaymentsGateway is the premier payment system for service industry merchants. Schedule a test drive to experience our intuitive user interface for yourself. Our Payment System was designed with considerable assistance from service industry merchants to address their specific requirements. structure offers precise visibility to the categories at which your transactions clear the interchange system. Improve qualifications, lower processing expense & receive clear, informative monthly statements. This low cost electronic payment method improves your bottom-line by providing customers the opportunity to pay the way they want.